I’m Wearing: Athleta Long Sleeve High Trail Top, Athleta Rockwell Jegging, Athleta Paulsbo Boot, Scarf – old, Tarnish Studded Cap by Nordstrom. Fall means lots of outdoor activities…football games, pumpkin farms, apple picking, hiking. And when I’m running around, I like to wear something that’s comfortable, but still stylish. That’s why I love Athleta clothing. You can be dressed to be active and look put together at the same time. I fell in love with this trail top the minute I put it on. First off, I love the color and the little splash of floral tonal print. Second off, it’s not too clingy. As I’ve said, if it shows the bulges, it’s not for me. This has just the right fabric combination and fit. This sweater is a wool blend, but you’d never know it. It’s so soft and it keeps you warm without being bulking. I also love the little thumbholes so you can keep your hands toasty on those cool, crisp fall days. To sum it up, it’s a winner…! On to the jeggings…don’t let the word jegging scare you. These things aren’t skin tight and they have a wide waistband, so they’re super easy to wear. They’re made with a heavier knit fabric so they feel substantial and I love all the pockets. I don’t know about you, but when I’m running around with my kids, they’re always asking me to hold their stuff. I always say, “I’m the mother,the holder of all things! Today I’m linking up with Pleated Poppy for What I Wore Wednesday. 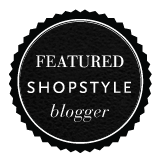 If you have a minute, click on the picture below and check out what some of the other fashion bloggers are wearing!